These blocks have been designed as an electronics learning aid for the blind and partially sighted. Each block has tactile circuit symbols. 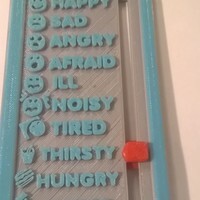 The component blocks also have a braille description of the component. 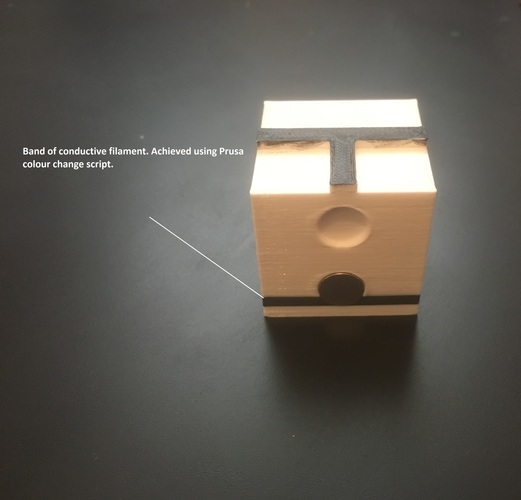 Using magnetic connectors, the blocks can be arranged to form circuits and with the use of conductive filament, or insertion of wires, functional circuits can be created. The use of a buzzer give audible feedback of a complete circuit and also has the potential to be used to demonstrate the effects of series vs parallel, of adding resistance or one of many other potential components. Reflecting back on my own experience of education I considered topics that are relatively abstract but can be demonstrated well practically. Electronics and particularly the fundamentals of simple circuits seemed like the obvious choice as concepts such as complete circuits, voltage and current can seem abstract if you were not able to see circuits diagrammatically. Practical demonstration can involve ‘fiddly’ bread boards, loose wires / batteries and often bulbs (offering no feedback to the blind). Each of the blocks is standardised with tactile symbols on each with braille descriptions on the main components. Initially I ran wire through the blocks to pass current and test the concept, but with the final blocks I used conductive filament (Proto-Pasta) removing the need for additional wires in the connector blocks. The standardisation of the blocks means that blocks can be easily created to house a whole range of potential components: motors with offset weights for vibration feedback, resistors, capacitors. Dropping magnetic connections (and the limited connection options offered) and designing connectors printed with conductive filament would allow further refinement and the potential for even more complex components to be incorporated (ICs?). 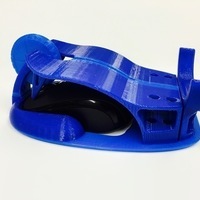 Print at 0.2mm layer height with your favourite PLA and appropriate settings. To print the top tactile circuit symbols and braille in a different colour add colour change at 35.2mm.